One of the largest underage hurling tournaments is run by our near neighbors Mullinahone every year, for U10s and U12s. 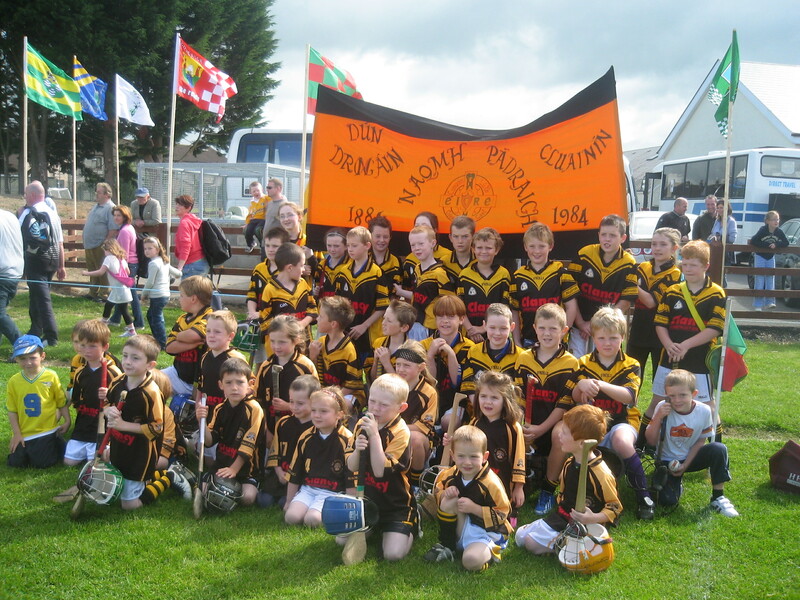 The U10s is a ground hurling tournament and 12s play full hurling rules. St. Pats 10s played Golden Kilfeakle in first match. They conceded a goal in first minute but rallied well and won 3-1. Next up John Lockes of Callan. Lockes were a very strong team our lads lost 5-1. Last game of teh group we played our neighbors Killenaule. We went a goal down early on but stormed back and won 6-1. John Lockes qualifed from our group. Fermoy and St.Pats were level on 4 points each and were also level on scoring difference. Unfortunately Fermoy had a higher total score so qualified for semi-finals as best runner up. The Drangan/Cloneen lads played quite well and were unlucky to miss out on a semi final spot. Mullinahone also asked in our U6s to play a game against themselves as a precursor to the main tournament starting. Our lads and lassies did very well and won with a few goals to spare. Thanks to Mullinahone for inviting us! Some more photos on our flickr stream! This entry was posted on September 3, 2010 at 11:47 am and is filed under Hurling. You can follow any responses to this entry through the RSS 2.0 feed. You can leave a response, or trackback from your own site.